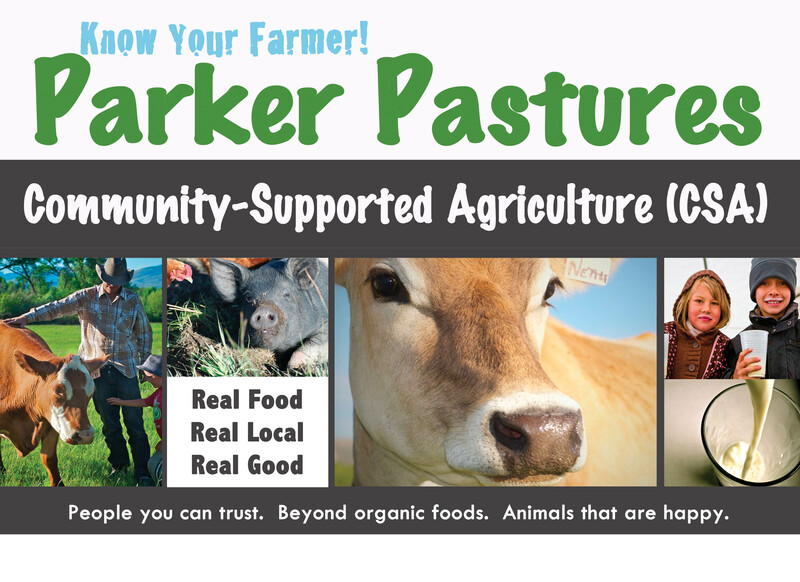 Parker Pastures – That's Natural! and clean pasture while improving degraded ecosystems. We do not use any antibiotics, growth hormones, synthetic fertilizers, etc. Not certified organic. . . but Beyond Organic and always 100% GMO free. Your food should be this good. 1 half gallon of fresh whole milk weekly from our 100% Grass-fed Dairy Herd. $35 for a lifetime ownership in 1 share. $5.50 per week maintains 1 share. 10 lbs of mixed 100% Grassfed Beef/Lamb and Meadow-Raised Pork/Chicken monthly. $35 for a lifetime ownership in 1 share. $85 per month maintains 1 share. 10 lbs of pristine and delicious mixed 100% Grassfed Beef steaks, ground beef, and roasts monthly. $35 for a lifetime ownership in 1 share. $70 per month maintains 1 share. 1 share is a one time pickup of 5 pure and plump pasture-raised chickens. $20 for one time ownership in 1 share. $85 due at pickup. July, August, or September pickup. Fill your freezer with your favorite clean and delicious Parker Pastures meat! Pingback: Dandelions & The Dandy Blend Coffee Substitute | That's Natural!